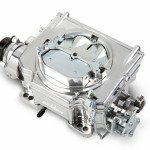 Dawsonville GA: During the 2013 SEMA show in Las Vegas, Demon Carburetion announced it has completed the tooling process that will enable the manufacture of a new fuel bowl. As a result production of two, popular, former hot rod carburetors, the Demon 98 and the Six-Shooter is expected to resume mid-2014. It’s anticipated that the 98’s will be first to appear. 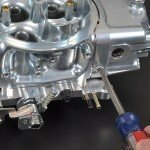 Delivering 205cfm the Demon 98 is a retro two-barrel high performance carburetor that suits the thirties-style three-bolt intake manifolds that remained popular throughout the fifties and early sixties. Accepting 2-5/8” period-style air cleaners or air horns, it was created to improve the performance of the Flathead, Y-Block, Hemi and Nailhead. 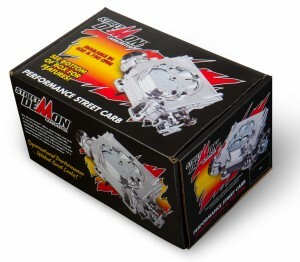 The Demon 98 is a direct replacement for the Stromberg 97 or Holley 94 carburetors. 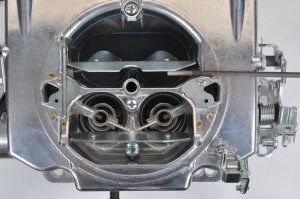 Chief differences between the Demon 98 and the Stromberg 97 include the design of the accelerator pump mechanism and the operating fuel pressures. 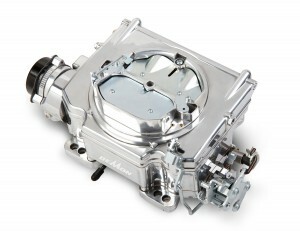 The 98’s accelerator pump arrangement features interchangeable nozzles, which can be adapted to suit newer designs of camshafts, cylinder heads and intake manifolds. Operating fuel pressure for the Stromberg 97 is limited to 3-4psi in contrast with the Demon 98 which functions at a more practical 6-7psi. The Demon Six-Shooter is a resurrection of the Tri-power systems that dominated the late sixties Muscle car era. 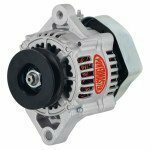 It consists of three 250cfm two-barrel carburetors atop an aluminum intake that comes complete as one unit for easy installation. Beyond this the attractive dual-plane intake manifold is developed to generate high torque, while the airflow capacity of the carburetors combined with a performance air filter assembly often deliver surprisingly good horsepower improvements. To further set the Demon Six-Shooter package apart, water neck leaks have been eliminated. Using a patent pending streamlined water neck housing, it provides superior clamping and a recessed well to accumulate any seepage. The Demon Six-Shooter is also outfitted with an electric choke for cold starts and a progressive throttle linkage that is governed from the center primary carburetor. 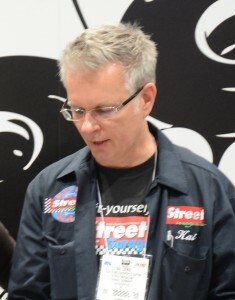 News emerged at the 2013 SEMA show confirming that Street Demons, arguably the company’s most important carburetor, are now available at two of the leading auto parts stores: O’Reilly’s and Advance Auto Parts. Both stores offer the 625cfm and the 750cfm models. 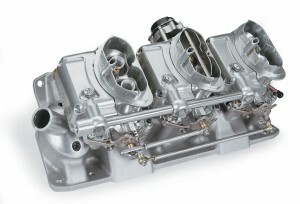 The 625 Street Demon is engineered for hot rods with stock to mildly modified engines, and it accommodates either square- or spread-bore-pattern intake manifolds without adapters. 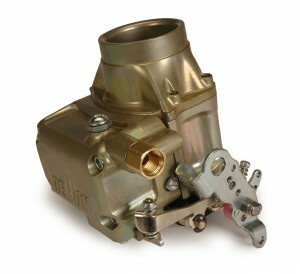 Two key factors that make this carburetor special are newly designed 1-3/8in primary throttle bores and boosters. 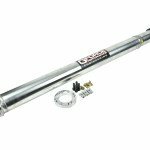 These have been calculated to produce superior fuel emulsification, to present crisp throttle response and drivability, and to provide pleasing fuel economy. Featuring increased air flow the 750 Street Demon is derived from the successful 625 original concept. The primary throttle valves have been enlarged from 1-3/8in to 1-11/16in, but remain configured with two of the booster formations placed across the bores in the conventional way, and the third neatly integrated into the throttle bore walls. The main venturii diameter has also been enlarged, along with increased calibrations, all of which help add extra power. 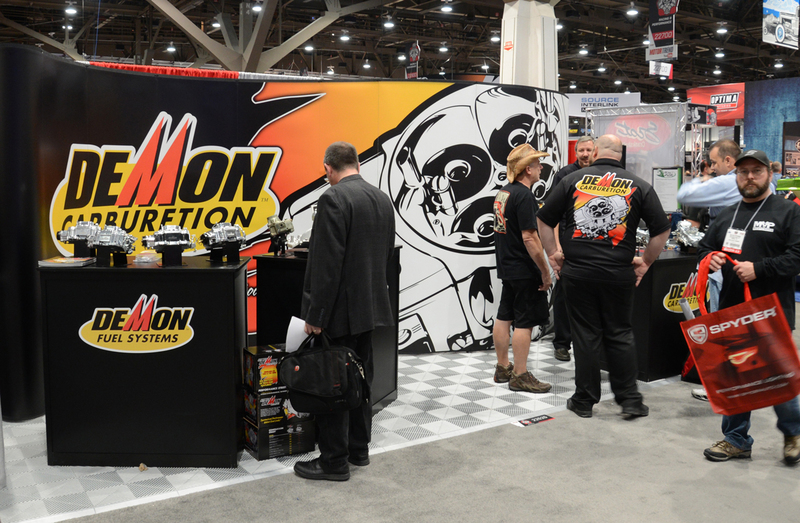 Visit Demon Carburetion at the PRI show Booth (#435) green hall December 12-14 in Indianapolis. 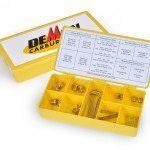 WHEN WILL THE SIX SHOOTER FOR BIG BLOCK CHRYSLER MOTORS, BE AVAILABLE FOR PURCHASE? Thanks for your email Kevin. While they are scheduled for production, release dates have not yet been given. For updates please contact Demon representative, Scott Witmer: scottwitmer@demoncarbs.com or he can be reached at 270-438-2039.